Pulling out a first few stalks of rhubarb in early May must surely be one of the most delightful things in gardener’s year. There’s nothing more exciting than taking of a rhubarb forcer (in our case an old burning bin) and being rewarded by lush, vividly pink, super-long stalks that almost beg to be eaten raw, just dipped into sugar! Forcing rhubarb is probably not a common thing in Shetland but covering the crowns will encourage the plants to make early growth and these forced stalks make a great substitute for fruit when there is little else available from the garden. In Shetland cooking with rhubarb has a great tradition as it grows really well. In fact so well that a whole recipe book has been devoted to it. Rhubarbaria, written by the late Mary Prior – a frequent visitor to Shetland, is a brilliant and inspiring cookbook of every sort of rhubarb recipe. 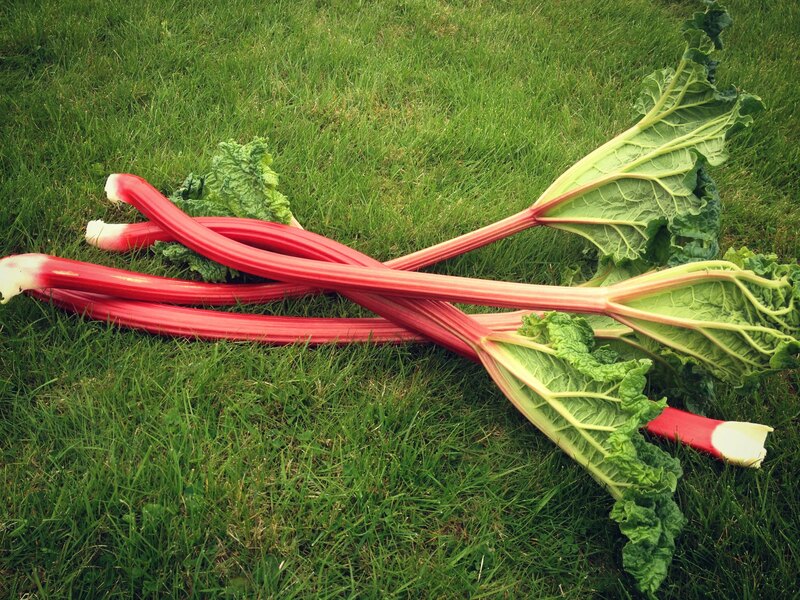 Rhubarb with meat or fish, vegetables, as a pudding, as a jam or in chutney are all included in this extensive resource. And since my rhubarb plant seems to have established itself quite well over the past couple of years I’m hoping I’ll have enough to keep cropping throughout the summer to be able to try a few recipes from the book. I’m particularly intrigued by the idea of a lamb and rhubarb stew! 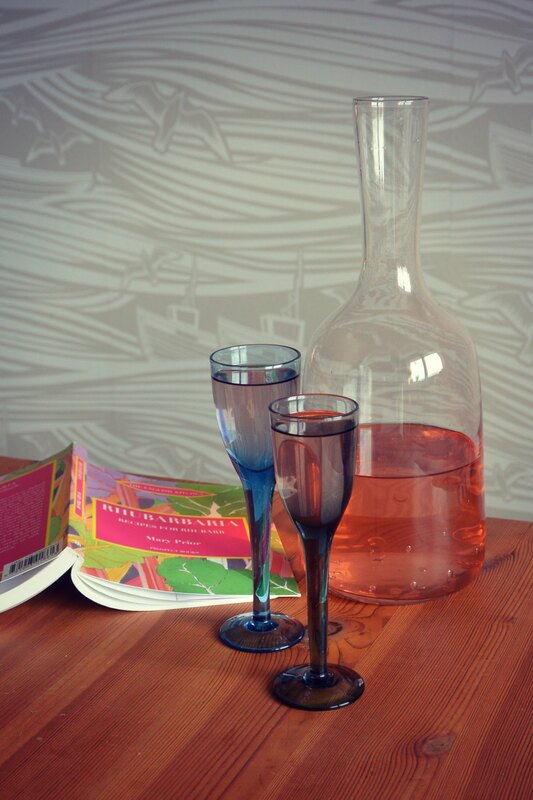 Here’s a recipe for rhubarb schnapps, a delicious, refreshing and seasonably pink drink. 1. Chop the rhubarb finely to expose maximum surface area. Pulsing it a few times in a food processor makes the job much faster. Place in a glass jar add the vanilla pod (cut in half; lenght wise), cover with vodka by approximately an inch or so, seal, and allow to steep a month. Over this time, the flavour and colour will leach out of the rhubarb, leaving the alcohol pink and the rhubarb yellow-white. 2. When the rhubarb has finished steeping, strain it from the alcohol, and filter the solution through several layers of cheesecloth. 3. Measure the final amount of alcohol – this is your base number. In a saucepan, heat 1.5 times that amount of water, and 1/2 – 3/4 that amount of sugar, depending on how sweet you like things. 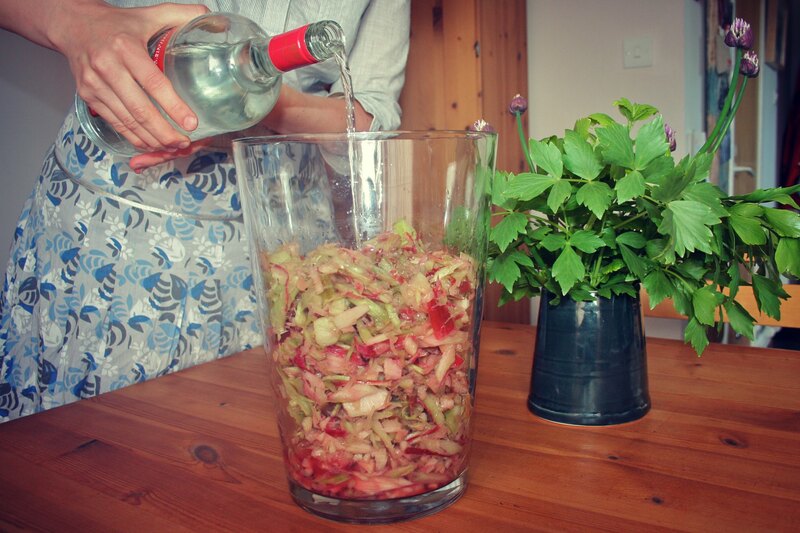 To give an example: 4 cups rhubarb alcohol would need 6 cups of water and 2-3 cups sugar. Let the sugar syrup cool, then add it to your filtered alcohol. 4. Taste and add more sugar if desired. Let age for at least a month before enjoying. Rhubarb schnapps keeps at any temperature, but is especially delicious straight from the freezer. Try adding it to your Cava or Prosecco, just like Kir Royale. On this relatively cold and windy night (yes, it is summer after all) I felt like cooking some nice comforting food. After checking what’s in the fridge I discovered a poly bag with some of last year’s beetroot which kept remarkably well. So I decided to make a big pot of borscht, a traditional Eastern European soup of possibly Russian or Ukrainian origin. I have a brilliant recipe from my friend who cooked the soup for us when visiting Shetland a few years ago. Since then I’ve been addicted to this authentic hearty soup. 1. Cut the beef into cubes, brown it off in the olive oil, then add water, stock cubes, salt, pepper and spices and boil until the meat is tender. 3. In a separate pan fry onions until golden brown, then add the carrot and beetroot and fry for 5-7 minutes, then add tomato puree and garlic. Add this in the first pan and boil for further 20 minutes. 4. Serve with a dollop of natural yoghurt and sprinkle with chopped parsley. Delicious with rye or sourdough bread. 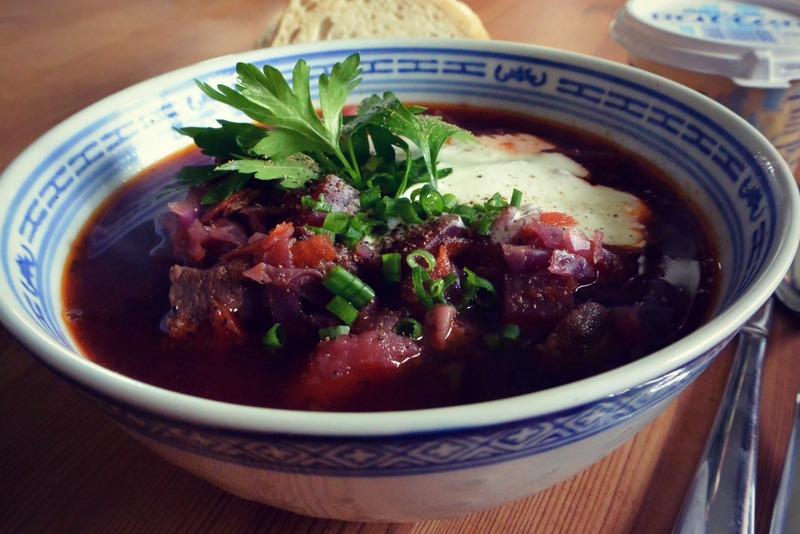 There are many recipes and ways of cooking borscht and if you fancy experimenting and trying a different version follow this link. 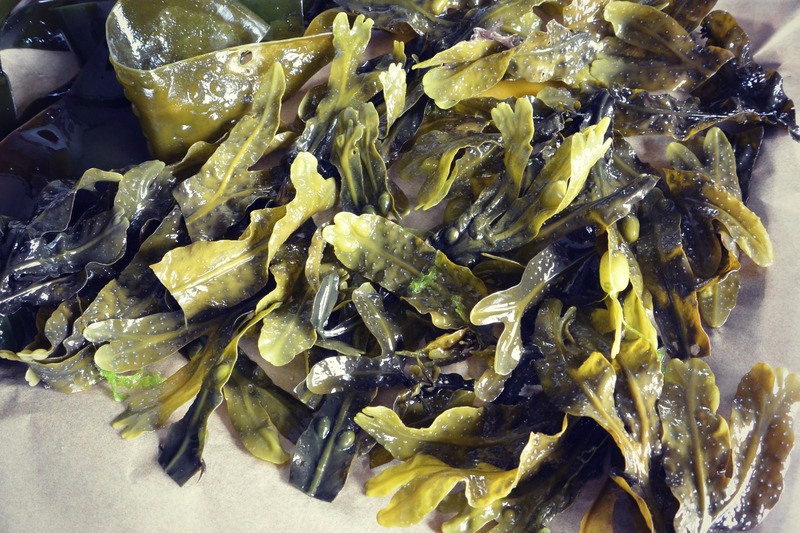 My colleague from A Taste of Shetland Elizabeth inspired me to try to harvest some seaweed. Elizabeth’s post about the experience sounded real fun so last last week, on an evening, I suggested a family trip to the beach… with a bucket and scissors. My five-year-old son was thrilled with a thought of an adventure on a school night and my husband seemed quite intrigued too. 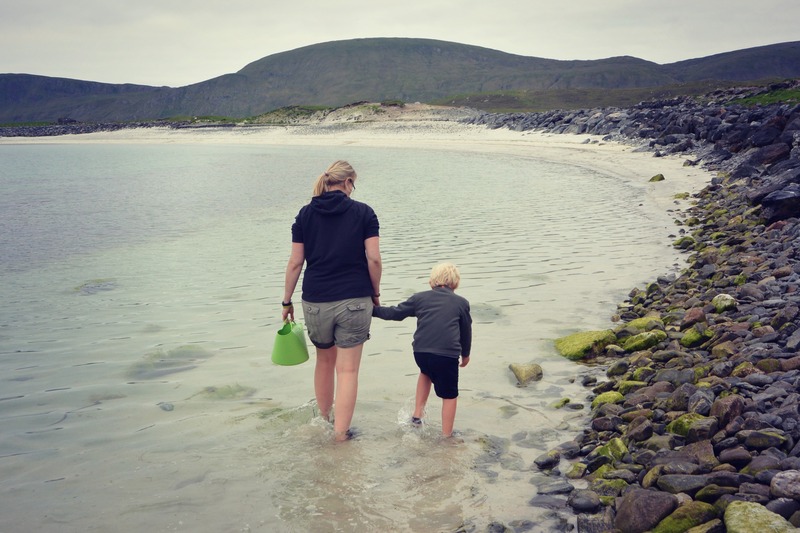 So off we went to Minn Beach, in Burra, one of our favourite spots. 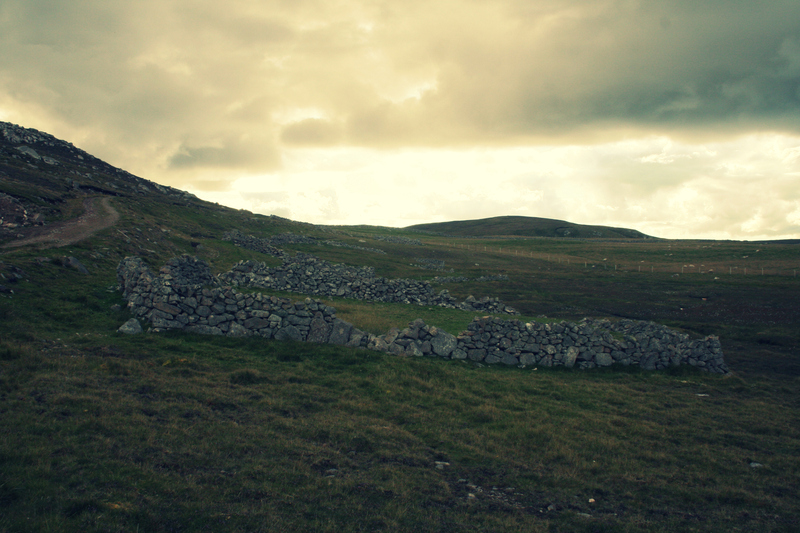 Anyway this foraging trip was a good excuse to enjoy a fine night outside doing something slightly different. 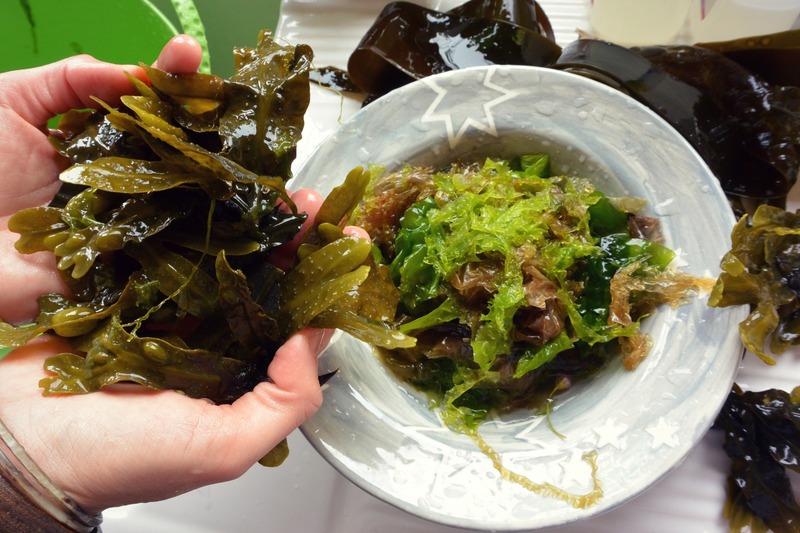 After getting wet and having lost the feeling in outer extremities I had a small amount of what seemed a quite promising collection of seaweed. I made sure that it was only cut from a growing stem and it would grow again which to me sounds like the marine version of the cut and come again salad. 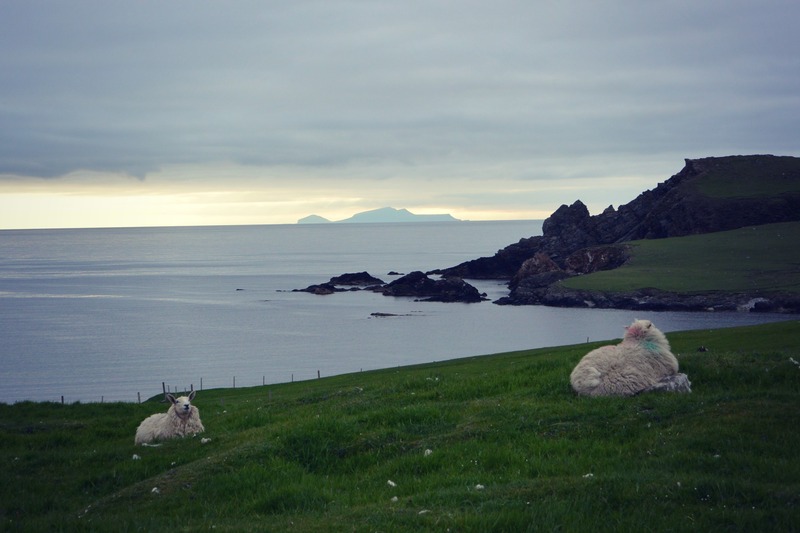 After enjoying some stunning views of Foula on the way back, we were happy to get back to the car and head home to thaw out and soak and rinse the seaweed. 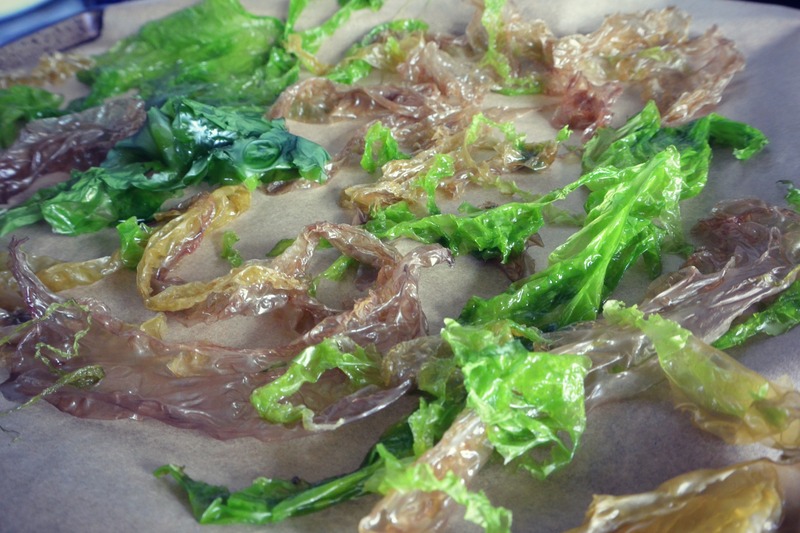 Now what to do with it… and then I got an idea – making a salad sprinkle which originally was supposed to be just seaweed and chilli. After several attempts of finding a good method of shredding it (breaking up with hands, cutting up with scissors and whizzing up in a food processor) I had a little amount of beautiful looking pure-sea goodness in a bowl and all over the worktops too. 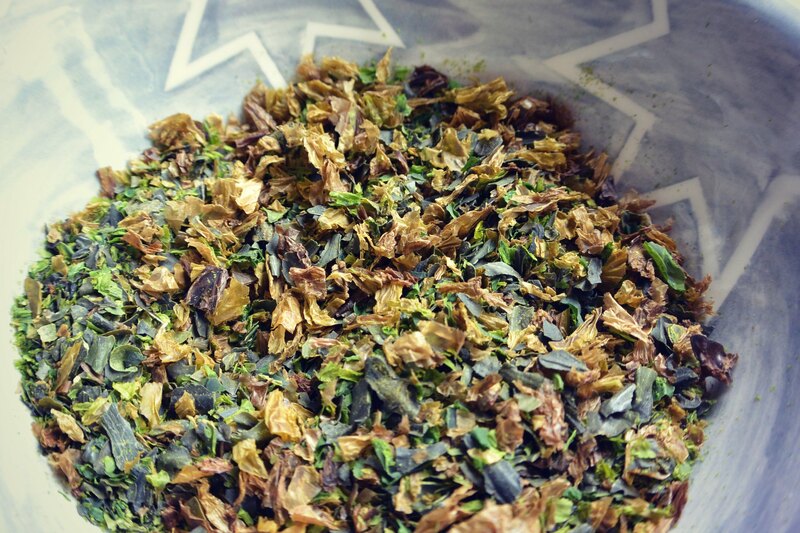 I added chilli and dried nettle which I picked at the beach trip too. 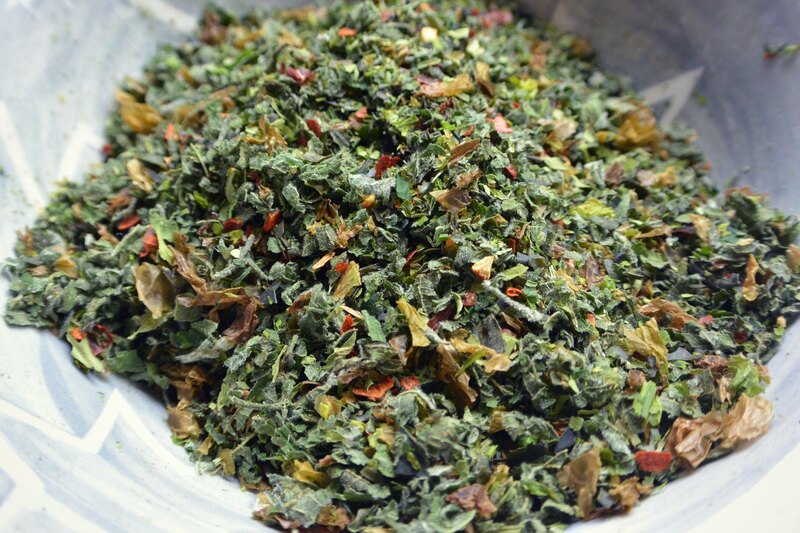 The mix looked absolutely beautiful and thought it could be called a ‘Shetland superfood mix’ since chilli and nettle are both a pretty amazing food stuffs and so is seaweed. 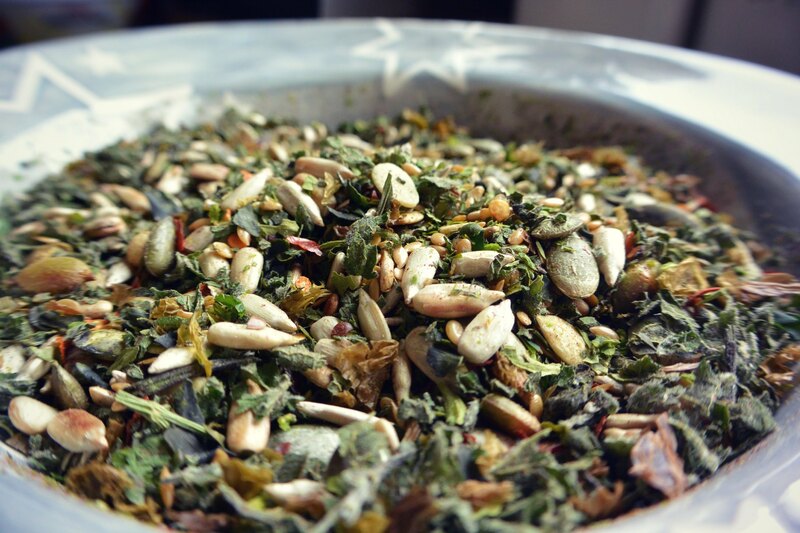 But then I thought it would be nice to add something for a bit of crunch and I toasted some golden linseed, pumpkin seeds and sunflower seeds and for a bit of a twist I added some sumac which is naturally sour and tastes very refreshing. 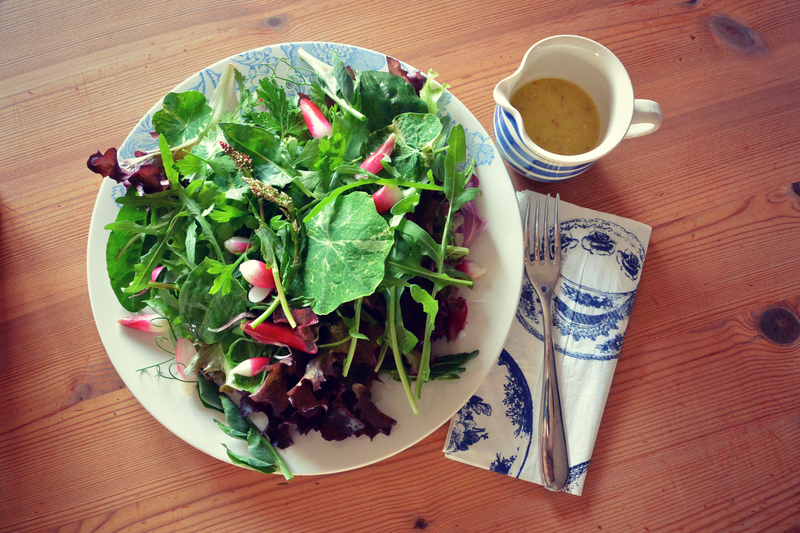 And voilà here is my newly invented Shetland Superfood Salad Sprinkle. 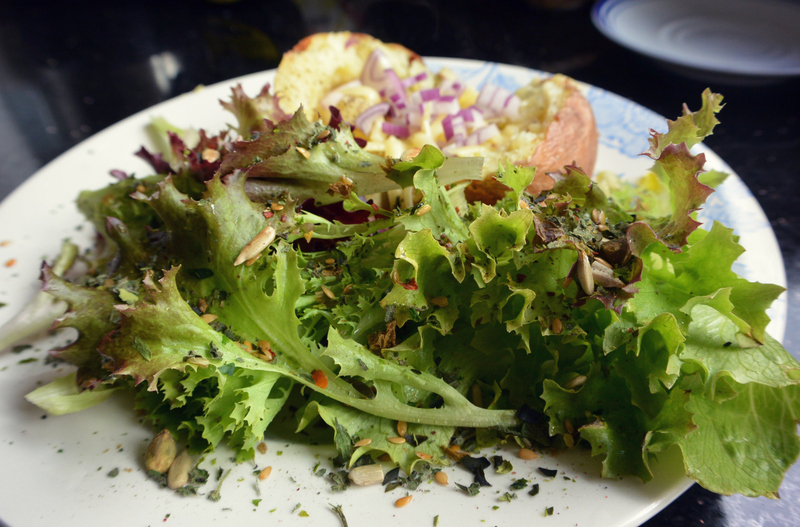 And it tasted delicious on some home-grown salad leaves with a drizzle of olive oil. And the price tag? Just the cost of a handful of seeds and we got a lot of fun and a small family adventure out of it too. Brilliant! If you like spinach then perpetual spinach is the perfect thing for you. 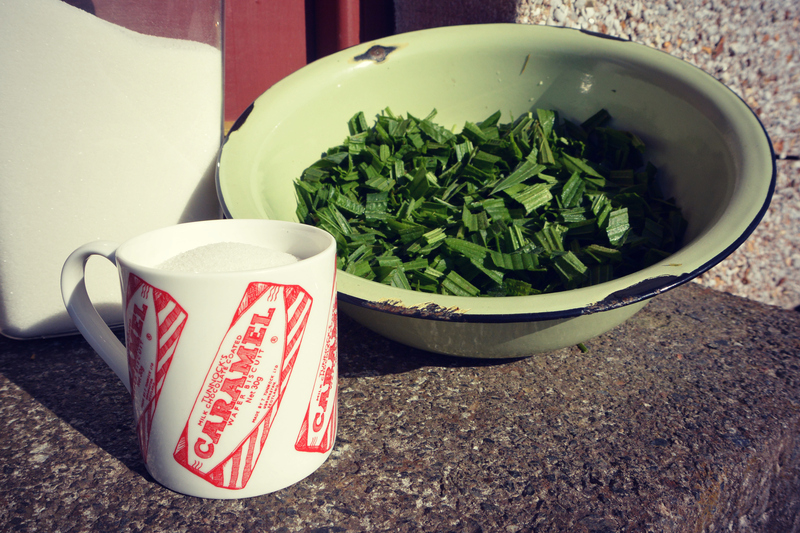 It tastes like ordinary spinach but you don’t need to keep sowing it as you do with ‘real’ spinach. The same plants will keep going for months. I usually do a very late sowing (August) and if the winter is mild we usually have enough greens to take us through till the spring. Spinach needs plenty moisture at the roots and lots of nutriens so digging in well rotted garden compost before you start sowing is good. 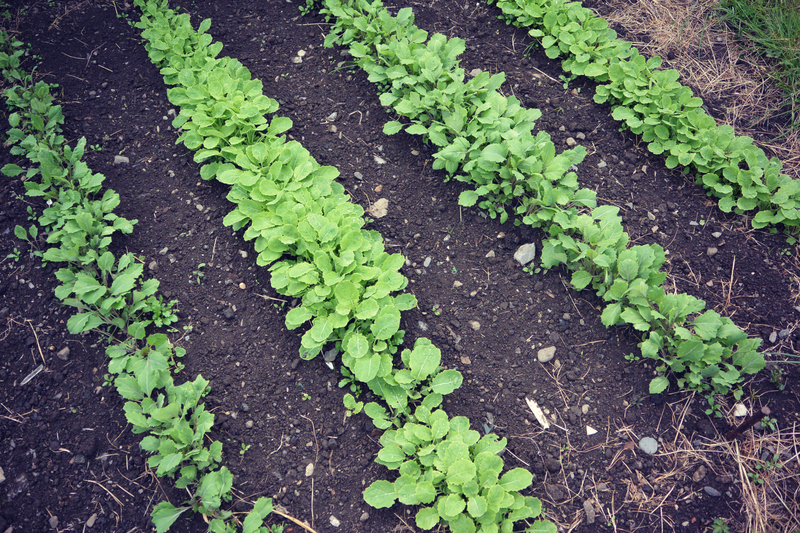 Since spinach prefers shade you can consider intercropping with veg which will provide it. Sow the seed directly in drills about 1cm deep in rows 30cm apart. Thin seedlings out to 15cm apart. Harvest little and often. It’s perfect for freezing too! Fresh peas – oh my goodness, what could be better than eating peas seconds after picking them. A real treat for kids too! Definitely better than sweeties. And the great thing about growing peas is that is easy (peasy). All you need is a small area, bed, container or a pot. In order to maintain a steady supply of peas through the season sow an early variety every four weeks. Peas like rich, moisture-retentive soil so again adding compost or well-rotted manure is ideal. Peas dislike hot weather so they do well in Shetland. To sow peas make a single V-shaped drill, approximately 5cm deep and sow them 5-10cm apart. Beetroot is simply amazing. Probably usually enjoyed more pickled or cooked however when eaten raw, beetroot is full of vitamins and minerals and it is also packed with powerful antioxidants. But most importantly beets are valued for their support in detoxification and helping to purify your blood and your liver. Sometimes I add beetrot to my fresh juice (nice with carrot, apple and ginger). And nothing beats borscht soup. 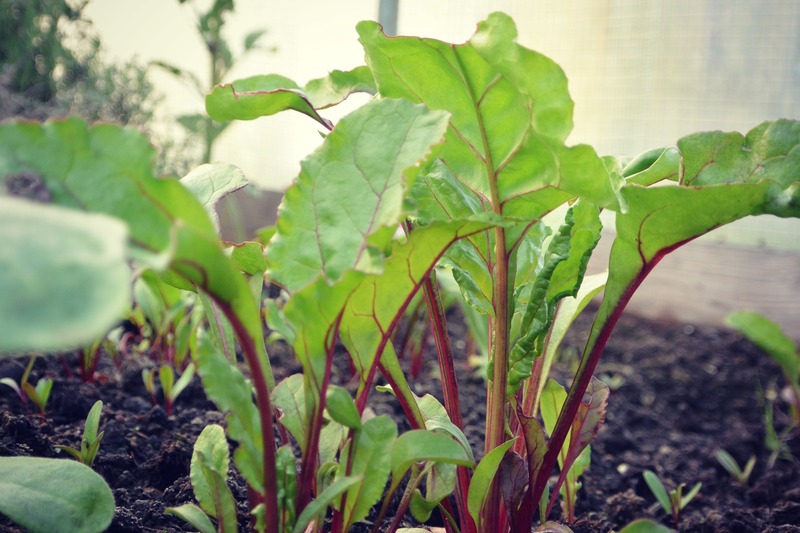 Beetroot grows well in an open, sunny site in well-drained, fertile soil. My friends in Scalloway seem to be able to grow any amount of beetroot in a small, relatively unsheltered space without any difficulties yet we have never really succeeded with beetroot yet. On the other hand they have not had much luck with garlic which we seem to be able to grow really well here. Sow thinly, in drills 2.5cm deep, 30cm apart. Thin out if necessary (approximately 8-10cm). 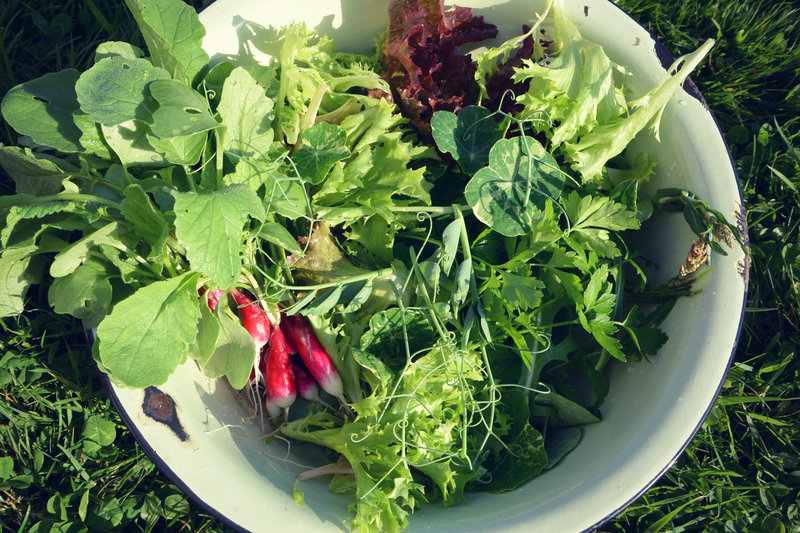 Tip: in the polytunnel we always leave some beetrots over the winter and in the early spring you are guaranteed lovely, colourful salad leaves full of vitamins and minerals. 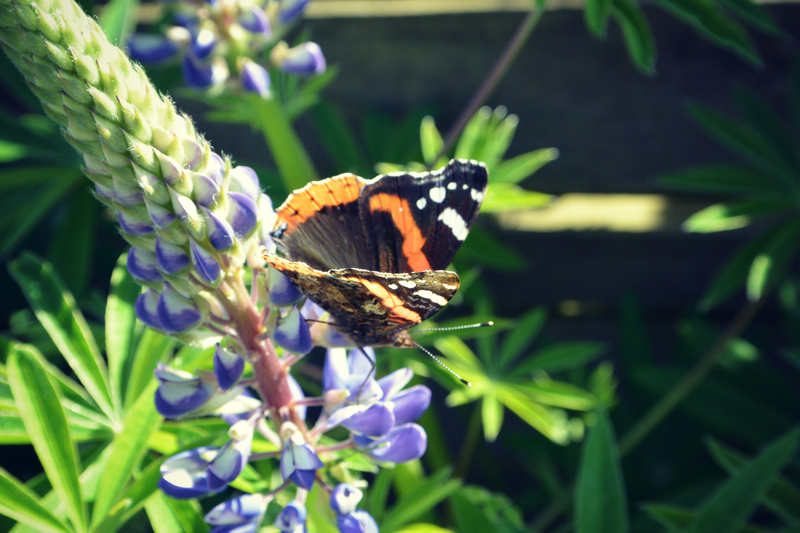 It’s almost midsummer and things in the garden are fairly coming on. Particularly on a glorious day like this all the hard work is worth it. First of the baby courgettes. 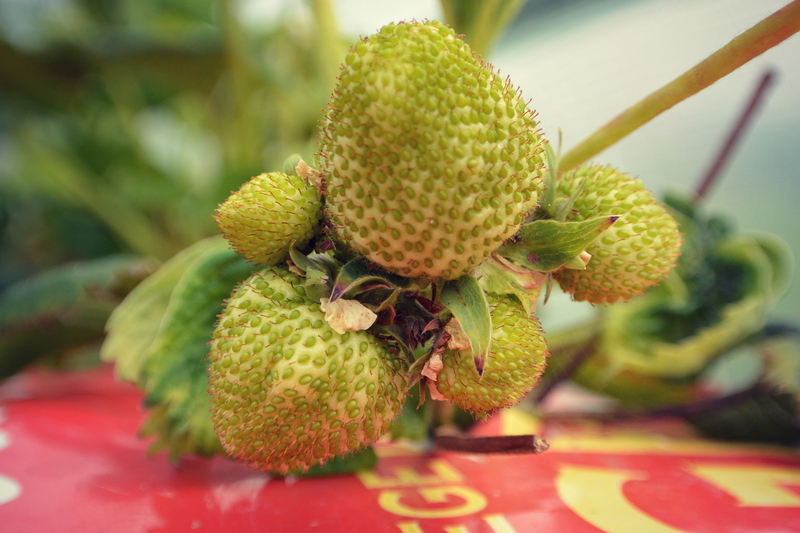 The first of the bullet-like green strawberries have formed. 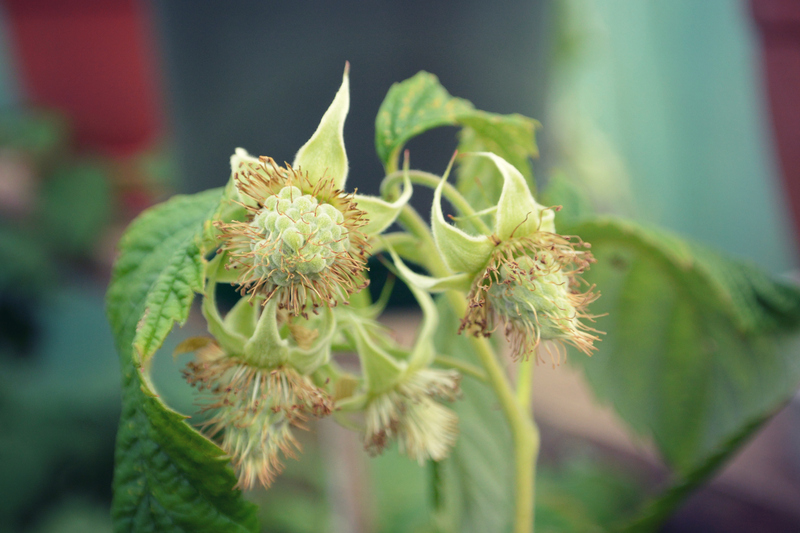 Self propagated raspberries – glad I didn’t pull them out as there is a lot of fruit showing on them. 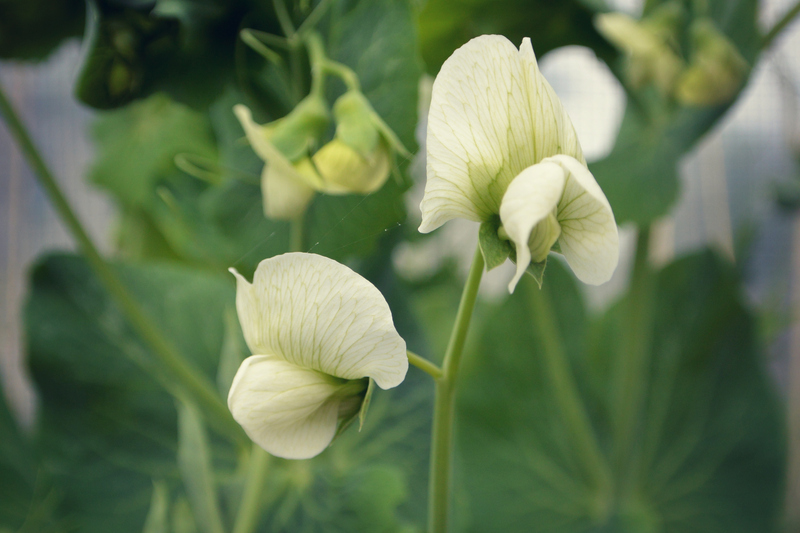 Peas – plenty of flowers on the first mini pods are forming. 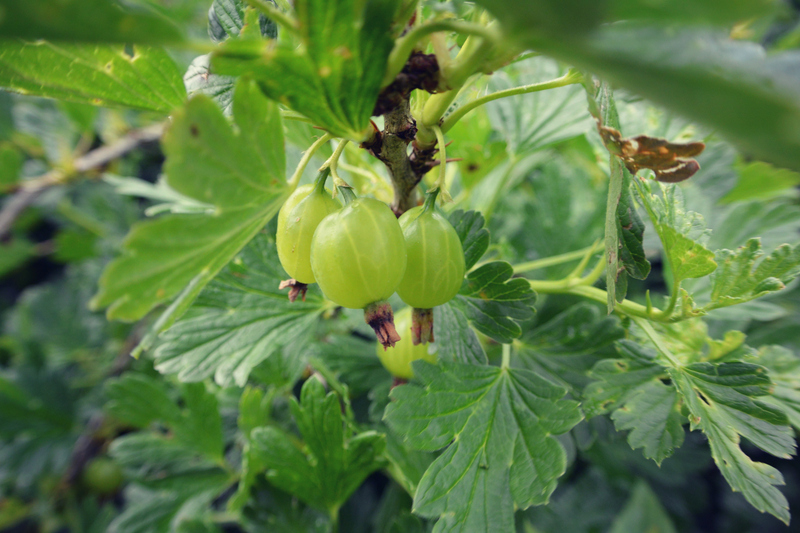 A good crop of goosberries coming on nicely, just hoping Gooseberry sawfly leaves the bush alone this year. 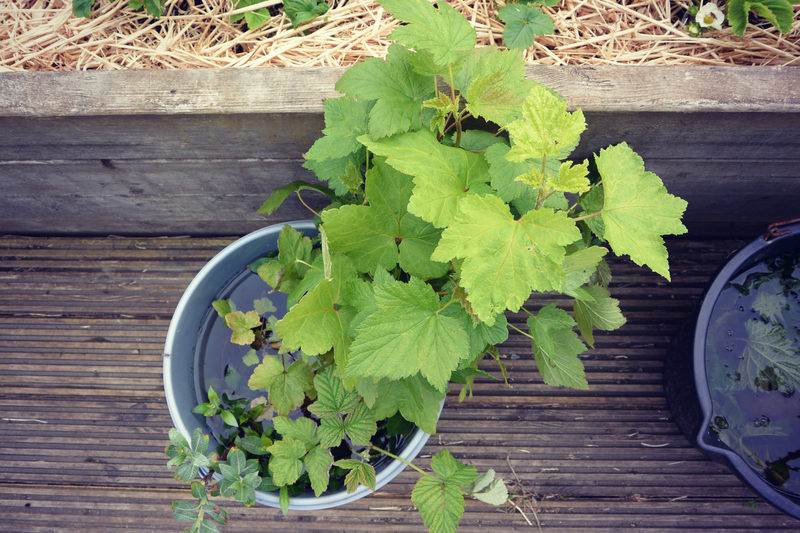 A pot full of good cuttings going on – next year’s Alaskan willow and blackcurrants. 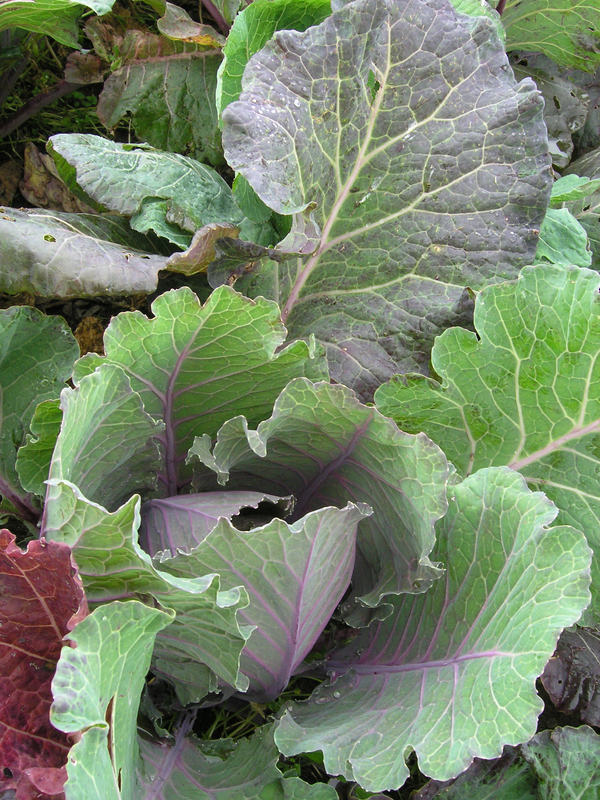 Kale (Shetland cabbage) and neeps. This is the first time we’re trying to grow Shetland cabbage but I have seen a few Cabbage Whites about today so might neet to keep an eye on these. 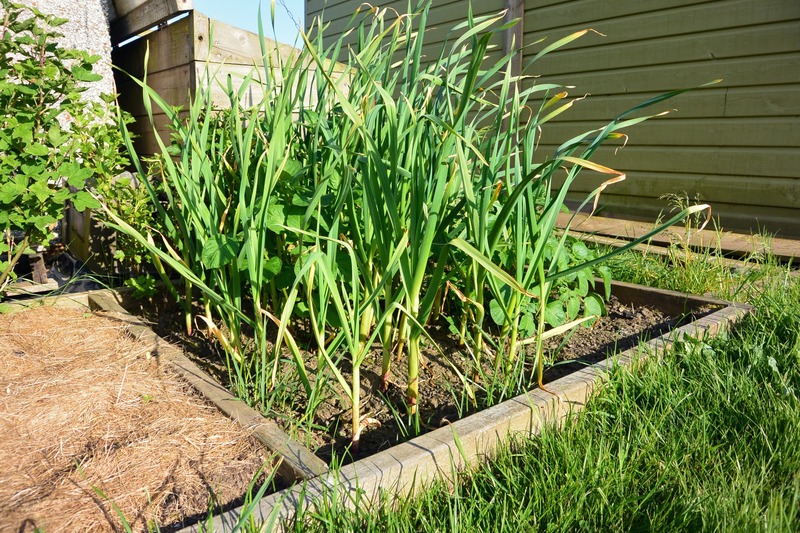 Growing garlic is really easy – will post about that another time. 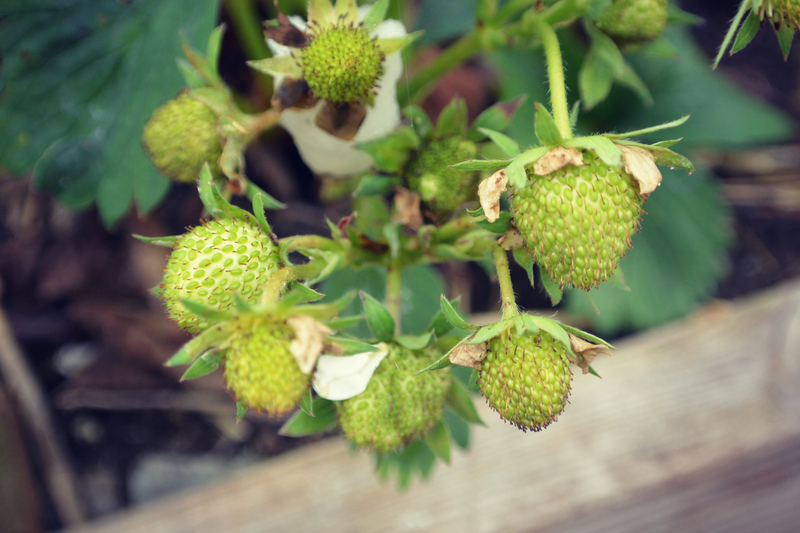 The best bit – the harvesting! 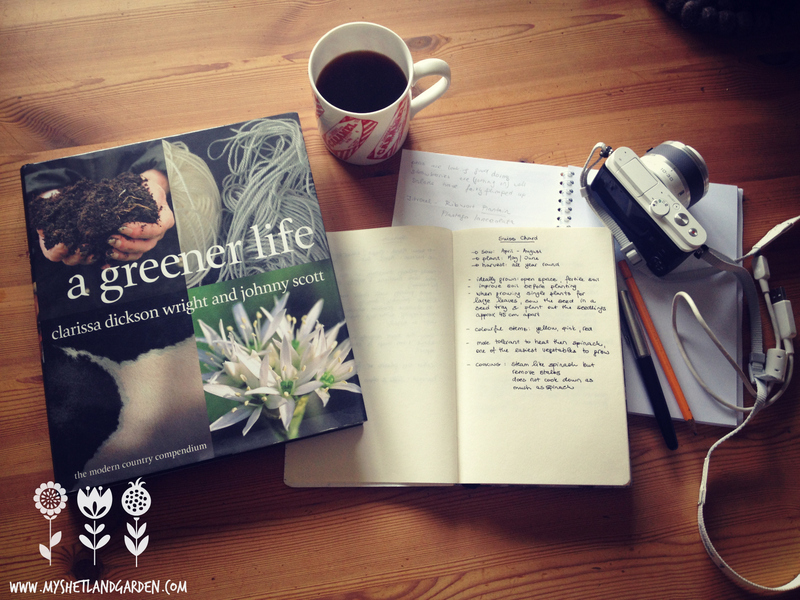 … and enjoying your crops on your plate. 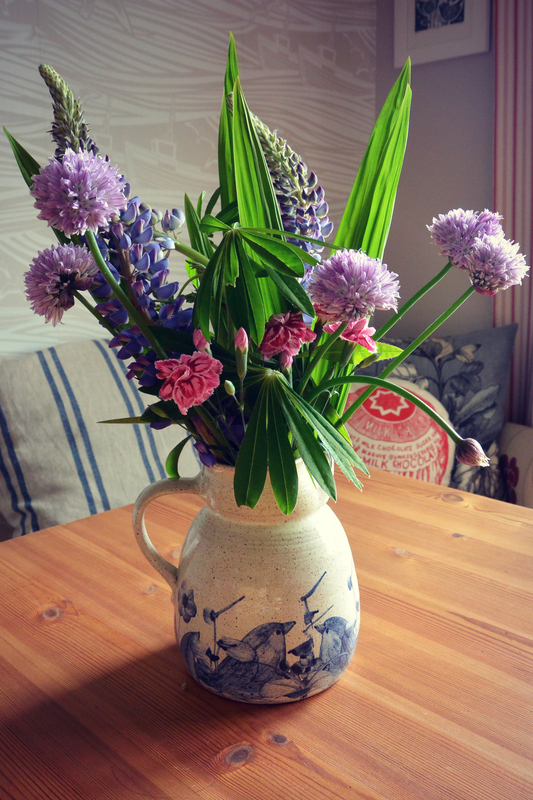 … and also getting some cut flowers. … and seeing the wildlife too! I have never been keen on standard cough mixtures from a pharmacy as to me they taste unpleasant and I think they is full of weird stuff… Since we were tiny, when ill and suffering from cough or sore throat, we were given plantain cough syrup which always seemed to do the trick. And if you make your own it’s almost free and super easy too… So start stocking up your cupboard with natural remedies in preparation for winter ailments today! 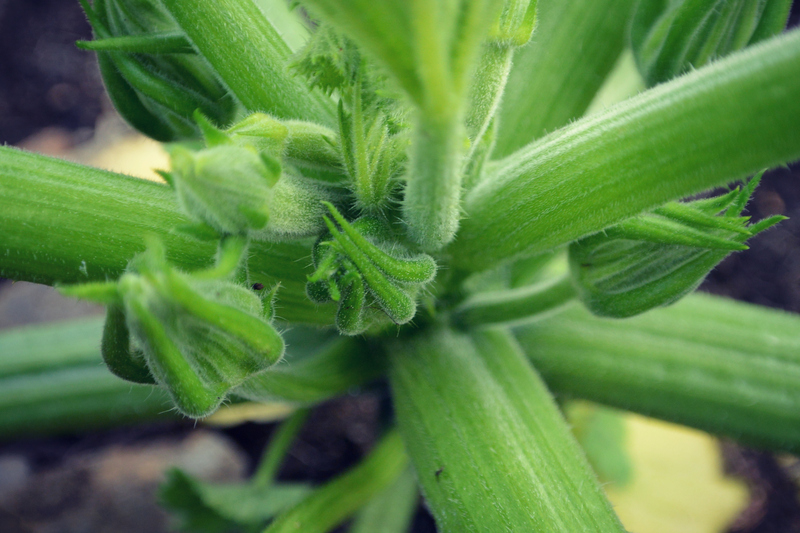 The plantain is a common broadleaf “weed” that we should eat, not kill. 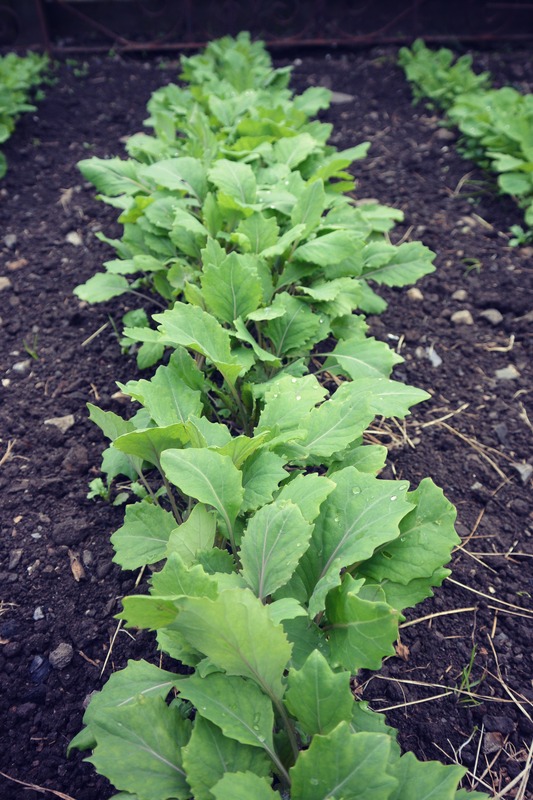 This perennial vegetable is free for the picking and packs an amazing amount of nutrition. Full of calcium and vitamin A, plantains also provide vitamins C & K. The plantain also has many amazing healing properties. 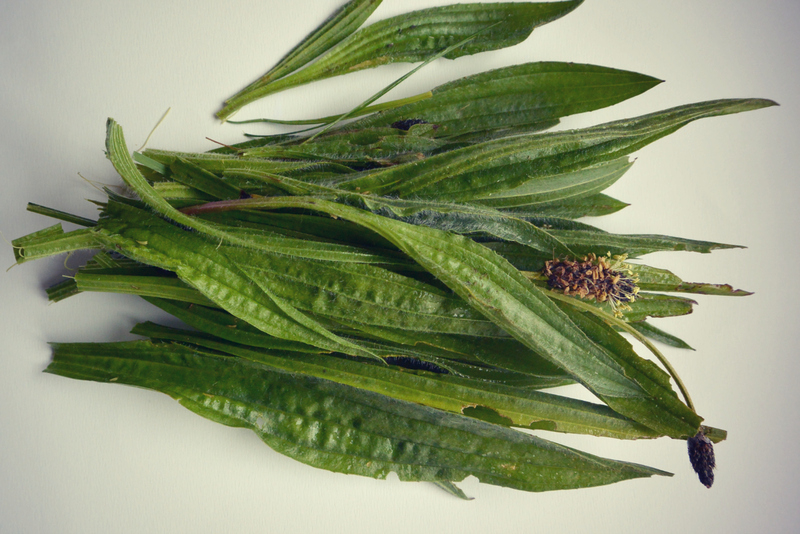 It can heal your gut, is used as a gentle expectorant for coughs, soothes an insect bite or a rash, heals cuts and it draws toxins from the body with its astringent nature. Source: Wild Edible and Medicinal Plants There are about 200 species of plantain found all over the world, growing in many different habitats but most commonly in wet areas like seepages or bogs. They can also be found in alpine and semi-alpine or coastal areas. In Shetland I think I’ve seen two or three different species and they all have the same medicinal properties. 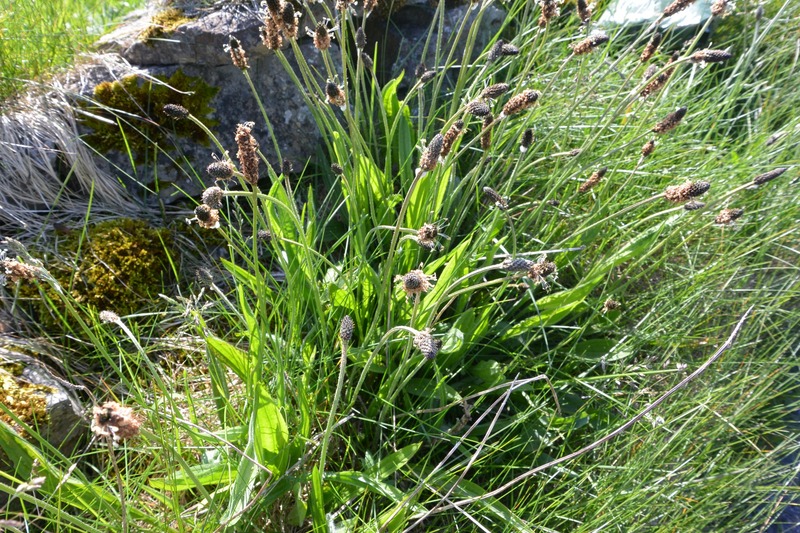 For making the syrup I use ribwort plantain (Plantago lanceolata) which frequently grows at the side of roads. It’s not a good idea picking herbs at sides of busy roads but in Shetland I think there are plenty quiet roads where the plants should be ok and not affected by pollution. To make the syrup you need about three large handfuls of plantain, two cups of granulated sugar and a large jar. 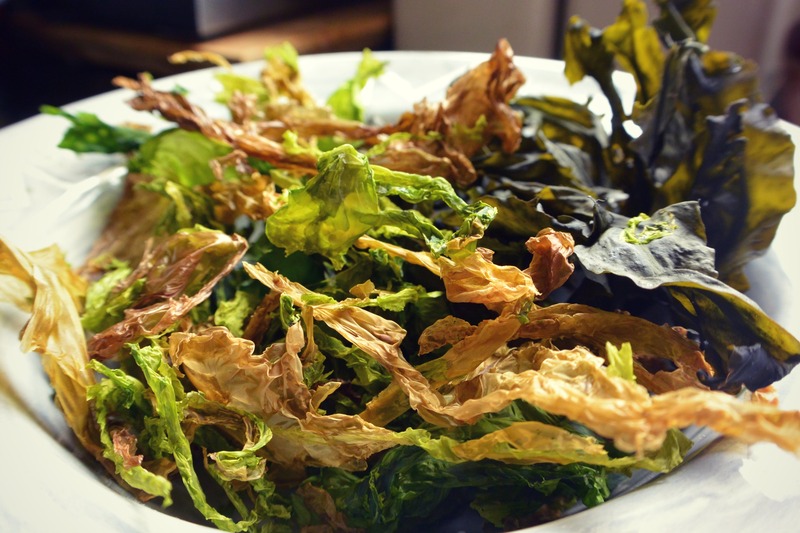 Wash the leaves and chop them finely. 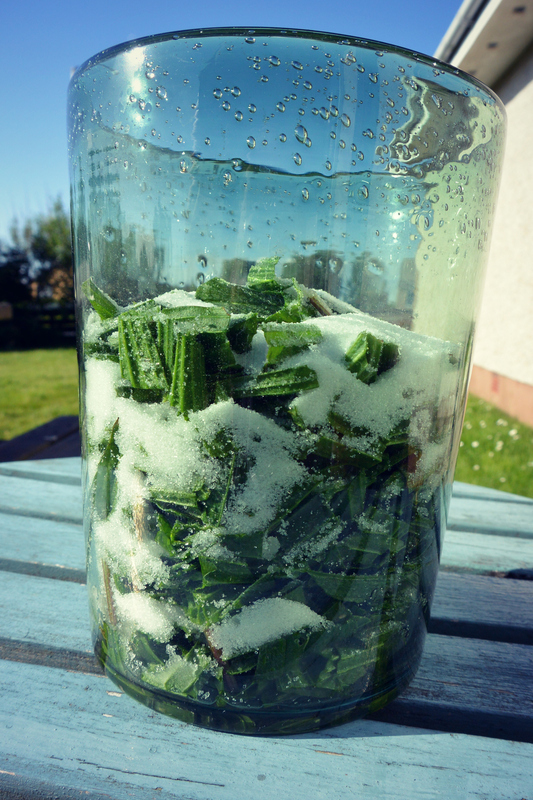 Put approximately 1cm of the leaves in the bottom of the jar and add the same depth of sugar and repeat. 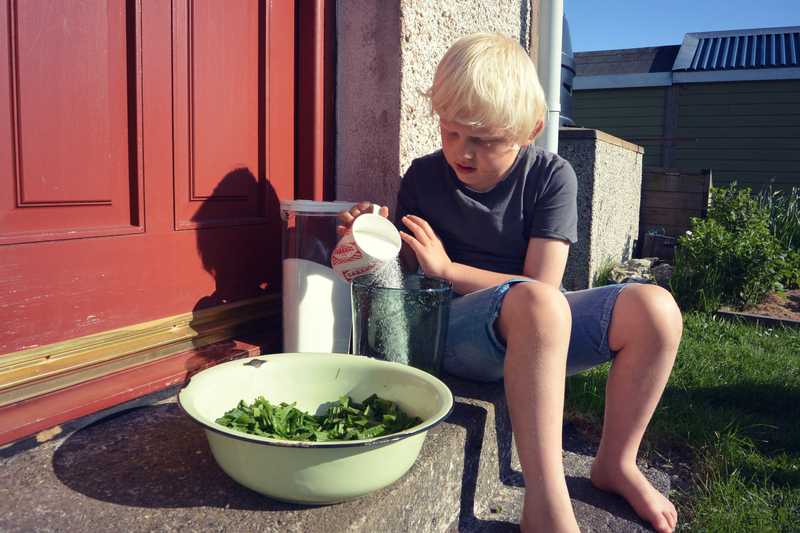 Compress the mix, seal the jar and leave it on a sunny wondowsill until it’s turned into a liquid, then strain through a muslin cloth or tea towel and store in jars or small bottles. The syrup will keep for up to a year if stored in a cool dark place or in the fridge. When suffering from a cold or respiratory ailment take a tea spoon three times a day or you can add the syrup into your tea.